Located amongst Virginia's most desirable attractions. Historical areas, theme parks (Busch gardens & Water country USA), College of William and Mary, Prime outlet mall and golf course are all only minutes away from your first choice of motels. 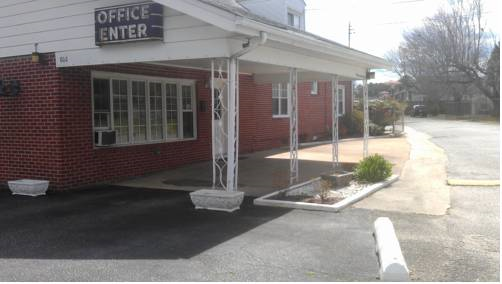 This motel is ideally located just one block (walking distance) from historical colonial Williamsburg and 1.5 miles from Busch Gardens & Water country USA. Other popular activities such as shopping, golf and fine dining can all be done within a few minute drives. Bassett motel has 18 spacious rooms; each room has new beddings and new wall to wall carpets. "You can't beat Bassett Motel" You should book a room here if you're looking for a great, affordable place to stay in the Williamsburg. The accommodations are comfortable and you can't beat the location. "A great place to stay in the heart of all the action" A wonderful little getaway that is super convenient to downtown. My wife and I have stayed there several times and the management/staff are very friendly. Thanks, Bassett, we'll be back! "Best Hotel Find in Williamsburg" Bassett is a real charmer and a great find for motel accommodations when staying in Williamsburg. Bassett combines character and charm and also is priced just right. "Service, location and hospitality will make you want to come again!" My partner and I have stayed here 3 years in a row now. We love Bassett Motel because of its location, service and nice-sized rooms. The price is also unbeatable. We will come back here in a heart beat! "Wonderful Value for the Money and Can't Beat the Location" My husband and I and our 3 year old tot often stay at the Bassett Motel because of the value and the AMAZING location. It's clean, comfortable and an excellent value for the money.